These programs are a great way to support Ojibwa from right at home all year long. It’s easy to find Box Tops. In fact, you may have some in your home right now. Clip Box Tops from your favorite products and turn them in to your child’s school today! Box Tops are each worth 10¢ and they add up fast! Here is a list of all of the products where you can find them. To help our school, just look for Box Tops on products, clip them, and send them to school with your Ojibwa student. 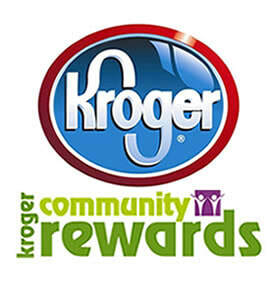 Are you enrolled in Kroger's Community Rewards program? If not, here are the step by step instructions to get enrolled and give money back to Ojibwa with every purchase you make at Kroger. ​1. Go to Kroger Community Rewards page. 3. Click on the "View Your Rewards Details" button. 5. You can then search by name "Ojibwa", (our account # is SR628​) then select our school and click "Enroll". You are all set! In an effort to find additional fundraisers that do not require any additional selling of a "thing" to friends and family...we are happy to announce we are going to try a fundraiser with FlipGive. It is so simple to do. Follow these directions to join our team and help us earn money to fund programs at Ojibwa. 2. Download the FlipGive Remind button on your browser and never miss a chance to earn money. It will pop up reminders and show you sites that are offering cash back when you search in Google as well! 3. Share with friends and family!